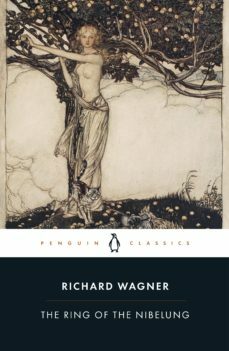 A superb new translation of one of the greatest nineteenth century poems: the libretto to Wagners Ring cycleThe scale and grandeur of Wagners The Ring of the Nibelung has no precedent and no successor. It preoccupied Wagner for much of his adult life and revolutionized the nature of opera, the orchestra, the demands on singers and on the audience itself. The four operas-The Rhinegold, The Valkyrie, Siegfried and Twilight of the Gods - are complete worlds, conjuring up extraordinary mythological landscapes through sound as much as staging. Wagner wrote the entire libretto before embarking on the music. Discarding the grand choruses and bravura duets central to most operas, he used the largest musical forces in the context often of only a handful of singers on stage. The words were essential: he was telling a story and making an argument in a way that required absolute attention to what was said. The libretto for The Ring lies at the heart of nineteenth century culture. It is in itself a work of power and grandeur and it had an incalculable effect on European and specifically German culture. John Deathridges superb new translation, with notes and a fascinating introduction, is essential for anyone who wishes to get to grips with one of the great musical experiences.